This C# tutorial will let you go through the steps of adding a Class Library , DLL to your own program or add it to the Global Assembly cache in Windows Assembly folder. DLL stands for Dynamic Link Library. This is the first Type. 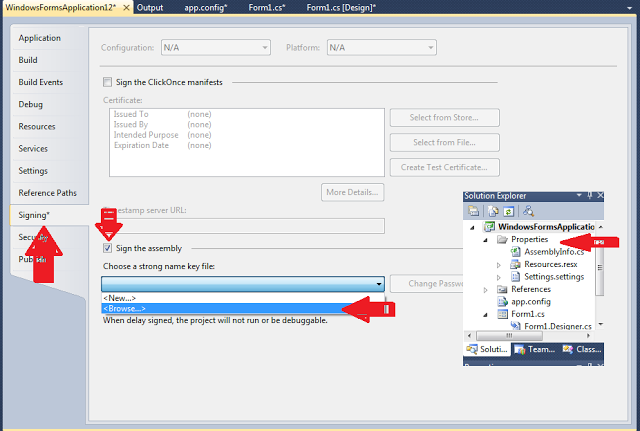 If you are adding your own DLL to the project then first locate it & Memorize its location. You might also wanted to know how to create a Class library or DLL>>. 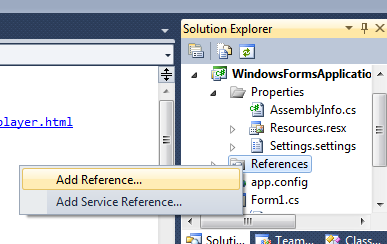 Now you just Go to your project’s Solution Explorer, Right click on the Reference option in it & Click on Add reference. Click Ok. & You are done. The last step of this type of DLL is adding it in our Using statements as follows. Note : This is the first type of dll adding in C# program. If you did this it will just copy your actual dll & add it its own debug folder. This will be a private DLL. If you changed your Dll it will not affect your project in which you added the dll. This one is a little complicated & most of the time it is uses whenever we need. Here is how to do this. This type includes the following steps. You will see “Key pair written to YOURNAMEHERE” & If you goto folder -> C:Program Files(x86)Microsoft Visual Studio 10.0VC -< you will see a file with your YOURNAMEHERE.snk . So first step is complete here. 2- Next step is to add this Strong name to your C# Project. Right Click on properties option in your Solution Explorer window & click on Open. A window will appear like this. In this window click on Signing*, then check on Sign the assembly. & Then click on the browse option. Locate your YOURNAMEHERE.snk file which you created in step 1 & add it here. After then Build your application. End of step 2. 3- Step is most important one & last step. 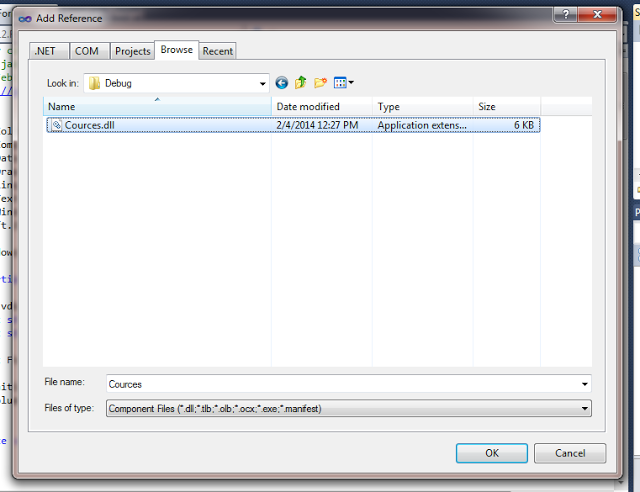 After step 2 & building again your application, again open your Visual studio Command prompt & write the path of the folder where your application is present. For example in my scenario the file is available at location -> C:UsersGullDocumentsVisual Studio 2010ProjectsWindowsFormsApplication12WindowsFormsApplication12binDebug <- so here is what i write in command prompt. Now you see my Command prompt is at the location where my project’s exe file is. Next write gacutil/i [dllname].dll & press enter.